The gulf between East and West is being bridged. Chinese companies are expanding. As China stamps a Godzilla-sized footprint on the global economy, business leaders in Europe and the US need to take note. Now, a new Mini EMBA program will give managers in the West exclusive insight into doing business in China. Launched by the Cheung Kong Graduate School of Business (CKGSB), the China Mini EMBA+ is a nine-day, five-city program for Western corporate managers, executives, directors of SMEs, and startup owners keen to learn China-specific knowledge and gain access to the Chinese business elite. Starting in London in February 2018, the China Mini EMBA+ will see participants complete three modules over the course of six months; four days in Europe—in London and Paris—either side of a five-day expedition in China—in Beijing, Shanghai, Shenzhen. Participants will explore topics like how to negotiate with the Chinese, how to build a successful Chinese business presence, and strategies for entering the Chinese market. 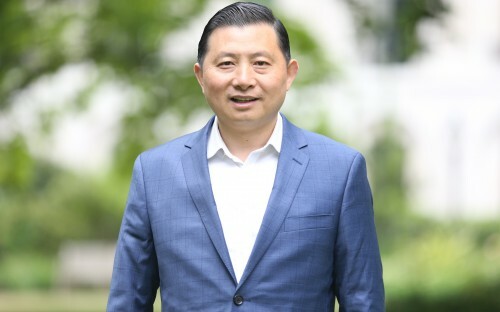 “When you do business now, you inevitably have to deal with China,” says Bo Ji, chief representative of CKGSB Europe, and the new program’s director. “China is not just big; it’s fully integrated into the global economy and making a huge impact on the rest of the world,” he continues. CKGSB’s China Mini EMBA+ takes the holistic EMBA approach, covering everything—from finance, marketing, and operations to the political system and regulation—needed to do business in China. Like with a modern-day EMBA program, participants will learn through interactive class discussions, real-life case studies, small group workshops, and company visits. But, for Bo, the China Mini EMBA+ is more than that—it’s completely China-orientated. The case studies it uses are based on disruptive Chinese firms; the company visits include a trip to Didi Taxi—China’s Uber alternative. While in China, participants start every day with an hour of Tai Chi. Why choose the China Mini EMBA+ over a China-focused Executive MBA? “If you want to go to China to study a Chinese EMBA program, you have to learn Chinese,” Bo explains. “There’s strict regulation—most EMBA programs in China require you to pass an admission test in Chinese. CKGSB’s China Mini EMBA+ is priced at £9,800 ($12,900). For that, participants also get access to one of the most powerful business school alumni networks in China. Founded in 2002, CKGSB is China’s first independent, faculty-governed and non-profit business school. Its alumni lead one-fifth of China’s most valuable brands. Out of Fortune’s China Top 500, 66 are led by CKGSB alumni, including Alibaba founder Jack Ma. What does Bo want from his China Mini EMBA+ participants? “We want people with global mindsets,” he says. “People who are already dealing with China—maybe they have a subsidiary in China, or a supplier relationship—or they plan to expand into China and start something there. The China Mini EMBA+ is offering a 5% early bird for applicants accepted into the program before November 30th 2017. There’s also a 10% group discount for groups of more than three participants from the same company.